It’s warm … no hot, it rains torrentially, you can’t drink the water, and electricity is limited. I’m in the middle of the Amazon jungle. 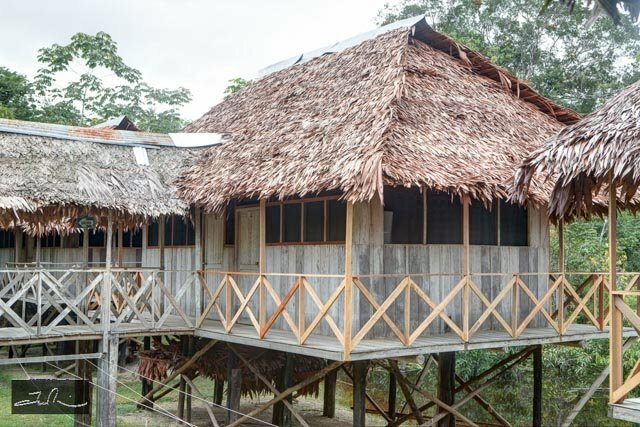 When a group of friends from Dallas decided to visit the Tahuayo Lodge in the middle of the Peruvian Amazon, I decided to join them. The Lodge is ranked as one of the 10 best wilderness lodges in the world by the folks who rank such things, Outdoor Magazine. I didn’t know what to expect when I signed up. I didn’t even know the Amazon extended into Peru. Nor did I fully appreciate how remote this lodge was going to be. It took me nearly two days to get there. You have to go through Lima, Peru, and the jungle city of Iquitos to get there by air. Of course, the Amazon turns out to be so wide that cruise ships can also get there by water from the river’s mouth on the Atlantic Ocean in Brazil. It takes about a week. You can get a direct flight from Dallas to Lima, or you can go through Miami, the port with a more generous number of flights. All flights to Lima are overnight for some reason. So you leave Dallas at the end of the day and arrive in the early morning in Lima. The flights from Lima into Iquitos airport are limited, so I had to spend much of the day in Lima waiting for my connection, finally arriving in Iquitos the day after I left Dallas. 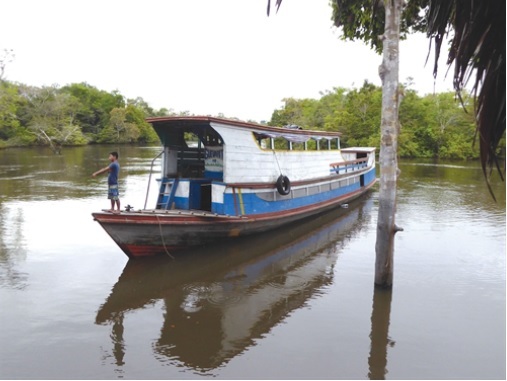 From Iquitos it takes three to four hours in a motorized, covered boat trip up river to get to the lodge, depending on the current. That puts you there around the end of day two. The Amazon jungle is roughly in the northern part of South America and covers parts of nine countries. Brazil has the majority of the Amazon’s land and Peru the second largest part. The river basin covers 7 million square kilometers of which 5.5 million is rainforest. The Peruvian part is almost entirely rainforest — densely green, always damp, dark at night, and full of oneofakind living creatures and plants that never cease to amaze. You see the results of deforestation in flooded lakelike areas you pass through as you go down the river. Scientists estimate that at current rates of deforestation 55 percent of the Amazon rainforest will disappear by 2030. Budget Travel Magazine recently listed the Amazon as one of the 10 places to see before it disappears. The environmental challenge is the fact that the Amazon’s 140 billion metric tons of carbon helps stabilize the world climate. The weather related conflict without the Amazon would be felt worldwide. That’s precisely why I felt an urgency to see it now. Accommodations at the Lodge are comfortable enough. 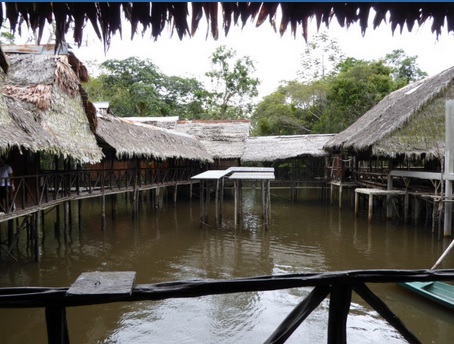 Each habitation is built on stilts over water. There are private baths, but no hot water. Showers use murky river water. Toilets use a septic system. Solar energy provides a little electricity. Guests are assigned guides who help you decide from a smorgasbord of daily jungle exploration activities. The guide also keeps you safe, carrying a machete at all times. 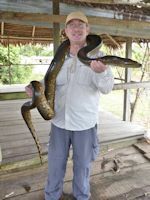 Michael Wald is a travel specialist with special expertise in Panama adventure travel. He blogs about travel and other musings at untroddenla.com.